Your excuse to visit Palm Springs is here. 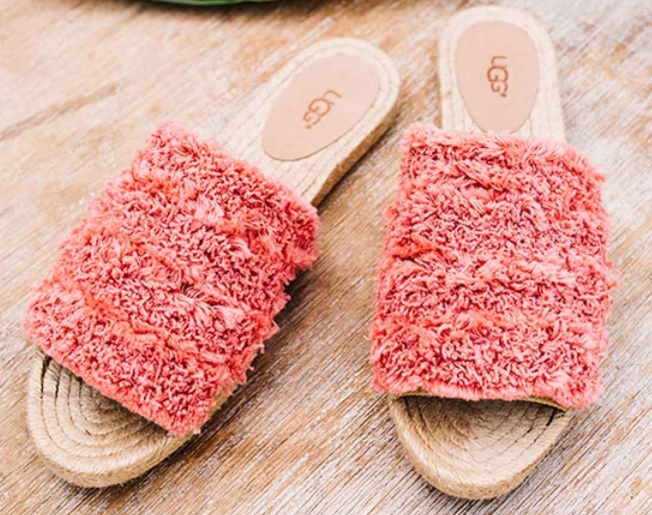 Fringed with vibrant yarn and crafted with a woven jute sole, this UGG-exclusive slide pairs well with flowy maxi dresses, sunhats, and charming desert towns. A few color options are available. See more UGG footwear options here on the Apparel Search footwear blog or visit the UGG website.